During a trip to Rye earlier in the month I had some thoughts of shooting the sunrise behind the wind turbines there. On Weds. evening I was round at Phil's mounting some prints in his workshop and, having previously checked the weather forecast (very light winds and clear skies), we hatched a plan to go down the following morning. I set my alarm for 04.20h but woke up at 03.40h so decided to get up anyway rather than toss and turn in bed. There was a virtual full moon greeting me as I pulled back the curtains and I could make out a few stars too, so I knew the sky was clear (at least in Great Chart - no telling if it would be the same at the coast). I took advantage of the extra time to make up two flasks of coffee (strong black for me and milky for Phil) before loading the car and heading off to pick Phil up on the way. I was pleased to see a barn owl perched on a fence post as I left the village - which reminded me that I had not been out doing much bird photography lately - something I need make time to address. Having checked the location of the wind farm on Bing maps, we knew roughly where we wanted to be to take the photographs (on the public footpath at N50.951 E0.735) but it's not until you get there that you are really sure of the lie of the land and getting there in just moonlight adds another degree of difficulty. Anyway, we got set up and my first image was taken at 05:48h - a full 40 minutes before sunrise. There was a beautiful glow in the sky as the sun edged slowly towards the horizon. Unfortunately it was to the left (North) of where would have been ideal but a nice run of pylons came to our rescue to fill the space. 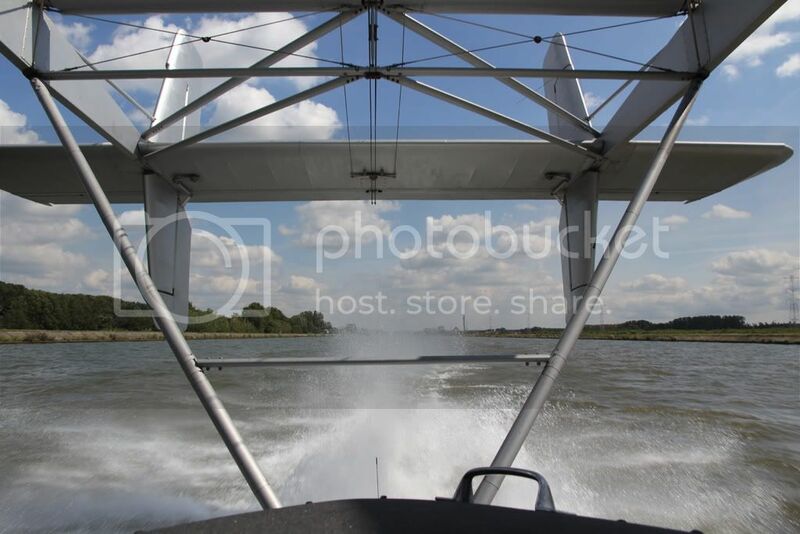 All images are taken with a Canon EOS 1D Mk IV with a 24-105 f/4 L IS USM lens, tripod mounted using mirror lockup and the 2-second timer delay. With the camera in Manual mode I played around with different apertures and ISO levels to get a range of shutter speeds that would allow me to capture the turbine blades both moving and static. As sunrise approached the colour intensity dropped off but when the sun finally appeared we were treated to a minute of the stunning glow that is dawn before the show is over. 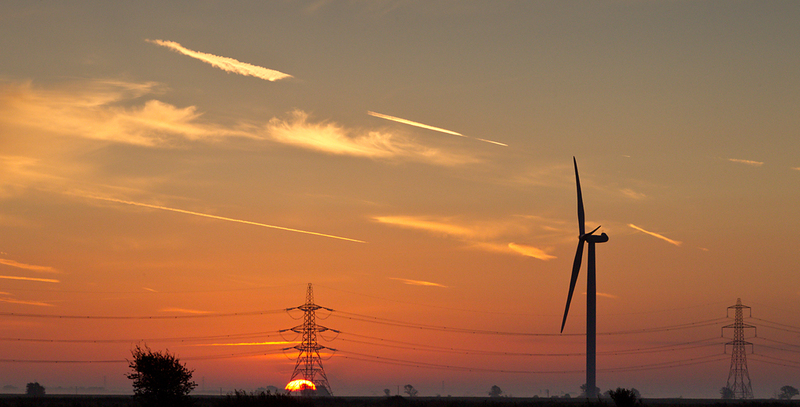 The sun came up right beneath a pylon and highlighted some vapour trails left by aircraft earlier. This is a pretty similar shot to Phil posting below - no surprises as we were standing together at this time. The sky that was left looked very flat in comparison but the harsh side-lighting on the turbines made for a pleasing effect. We then made our way towards Rye harbour and were particularly taken with the mist that was still spread thinly across the marsh. The image below I've titled 'Mutton in the Mist'. For this shot I had switched to Aperture priority and used exposure compensation in combination with the histograms to get the exposure/effect I was happy with. We arrived at Rye Harbour car park around 07.50h and enjoyed a cup of coffee before walking down towards the sea. The light was still superb for photography and I took a few images of the structures beside the Rother estuary. 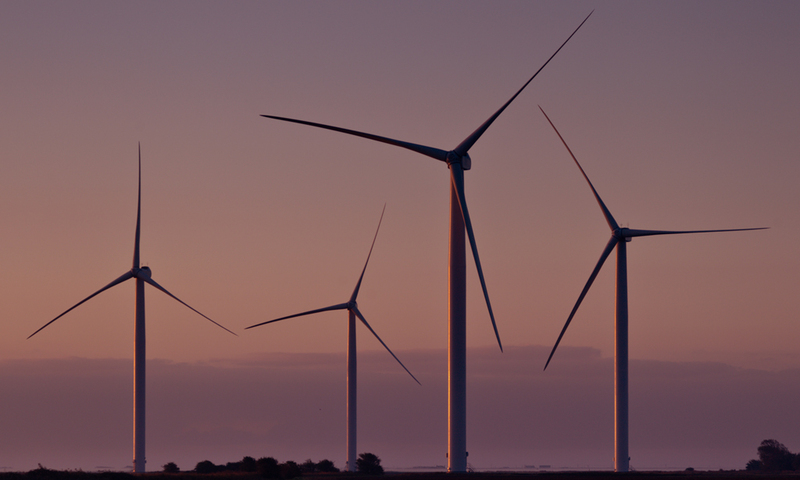 We will go back to the wind farm again, probably in December, when the sunrise should be directly behind the turbines. By then the sunrise will be later too and we may be able to persuade our other Wonky member, 'Anthony I don't do mornings Baines', to join us! Get up at 4am. Martin arrives at 5am: within 30 mins we are at the windfarm. It's a short walk to find a position we like - it's still dark as we set up the cameras. The pre-dawn light is magical, it's a little cold, but as the sun comes up we forget the discomfort; it's magnificent. The only photography magazine that I subscribe to currently is Black and White Photography. They have a reader panel, and one of the benefits of registering for it is that you may get invited along to a workshop so, naturally, I registered a while ago. 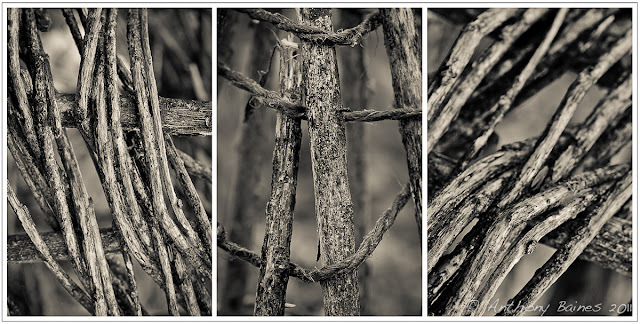 In June, I was invited along to a workshop on garden photography down in Sussex. 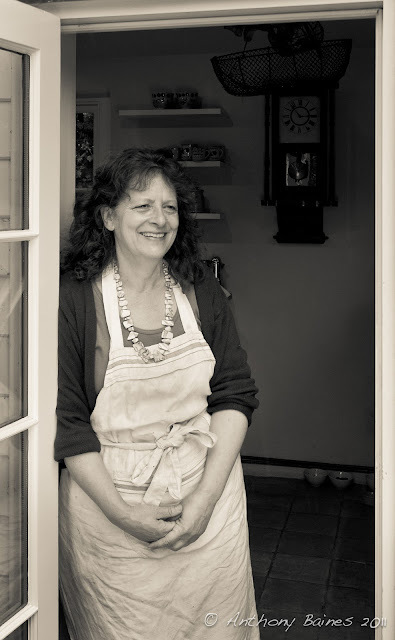 Monochrome garden photography – that’s a challenge! Well, it was meant to be garden photography, but in the end it turned out to be about trying to photograph the garden in the pouring rain, while attempting to keep camera and self dry -- or, better still, trying to keep out of the rain in the greenhouse or garden outhouse. Having said all that, when we could get pictures the light was lovely - very soft and wrapping-around, with no hard shadows. We were invited along to a lovely house not far from Lewes. I was greeted by a woman at the door who said "Hello, I'm Becky -- I live here." Becky is a wonderful host: she is a great cook, and took the opportunity to provide us with fresh home-made biscuits along with very welcome hot coffee shortly after we all arrived. Did I mention it was pouring with rain? The other participants assembled: Tim Clinch, professional photographer, was the leader of the workshop; Elizabeth Roberts and Mark Bentley represented the magazine; Donovan Rees, Sarah Watkins and Jill T were the other members of the reader panel. The invitation to Jill T turned out to be something of an accident: she had been to a previous workshop, but readers are apparently only entitled to one, so although she took part during the day, her pictures would not be published in the magazine. The day was taken up with attempting to photograph Becky's garden, mostly holding umbrellas for each other, and taking it in turns in the greenhouse, Becky's studio/outhouse, and even in Becky's house itself. I started off trying to get pictures of rain on leaves and flowers (if you've looked at this blog before you will know the kind of thing), using some of my favourite tricks (some knitting needles anchored in the ground to ease plants non-destructively out of the way; reflectors made from scrumpled-up kitchen foil glued onto card to light the underside of flowers). I ended up being particularly taken with a wigwam, presumably normally used to grow sweet peas, which was slowly collapsing in one of the borders. Becky's studio provided a real point of interest to me -- still life is not my thing, but the bottles and bric-a-brac on one of her benches appealed to me. I wanted to simplify composition a bit, so I asked Tim if he thought Becky would mind if I rearranged some of the items. Tim's response was immediate -- Don't be afraid of styling a subject. You can always put things back afterwards. So, I had a lot of fun arranging and simplifying the composition -- and a good lesson learned. During the afternoon, we downloaded our memory cards onto Tim's computer and made a first set of edits. I was very pleased that Tim, Elizabeth and Mark all seemed to like the pictures that were my favourites from the day. Having said that, the others made plenty that I thought were much better than in my own. I was keen to get a picture of Becky as well -- being a good sport, she was happy to pose in her kitchen doorway as we packed up -- see above. This month’s B+W (October 2011) has a report of the workshop. 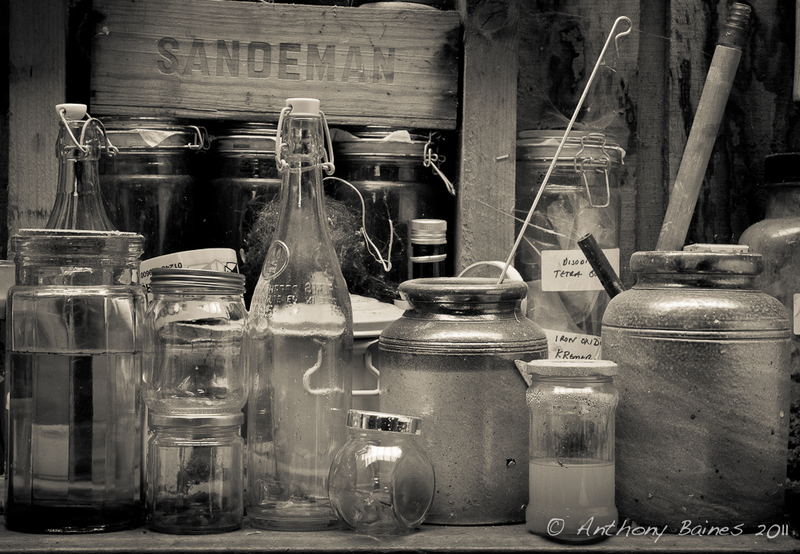 They chose a picture from my wigwam series and one of the workshop still life for publication. It was great to see those and everybody else's workshop pictures. 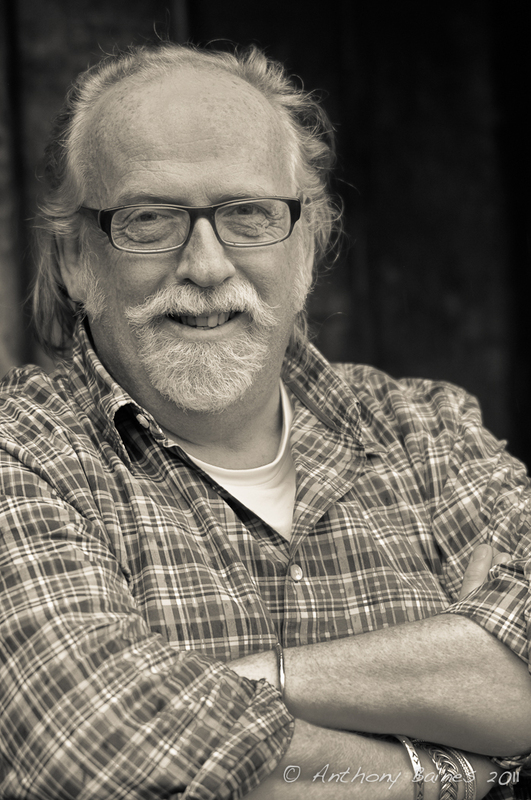 Donovan has put his page on Flickr. In all, a great experience and a lot of fun -- even the rain. 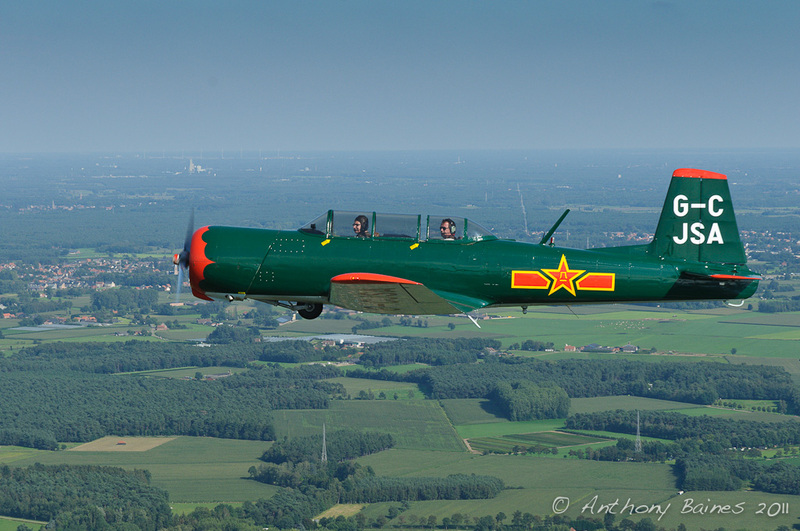 Between the Academy and Warbird flights, I had the great good fortune and pleasure to be offered a flight in Etienne Verhellen's Yak-52 "Alice" G-CBSS. 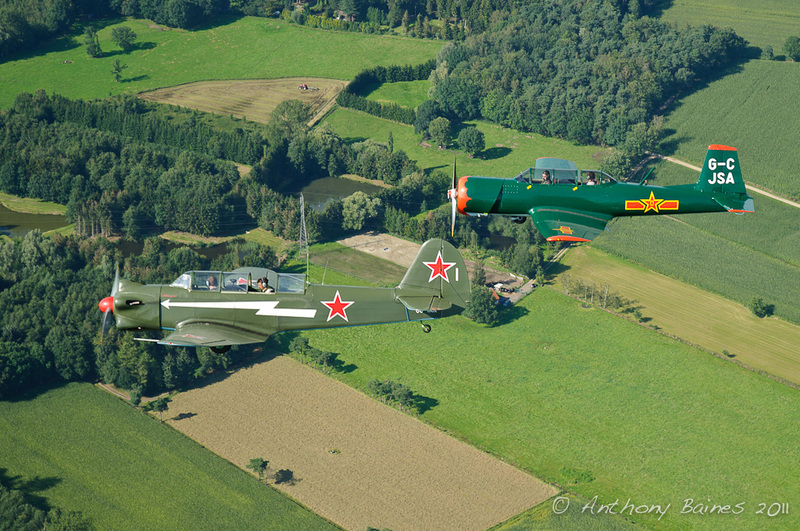 Jean-Michel Legrand and Johan Bogaerts were keen to get a unique set of photographs of them flying in formation in their aircraft Yak-18 00-IAK and Nanchang CJ-6A G-CJSA. Alice would be the photoship for this. 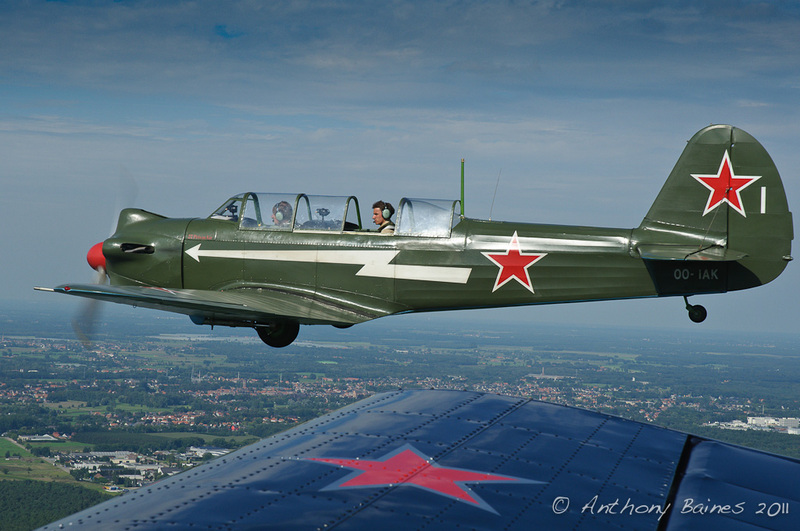 Flying in the back of the Yak-52 as a photographer, I had to keep the hood open. This aircraft has sliding hoods for the pilot and rear-seater. 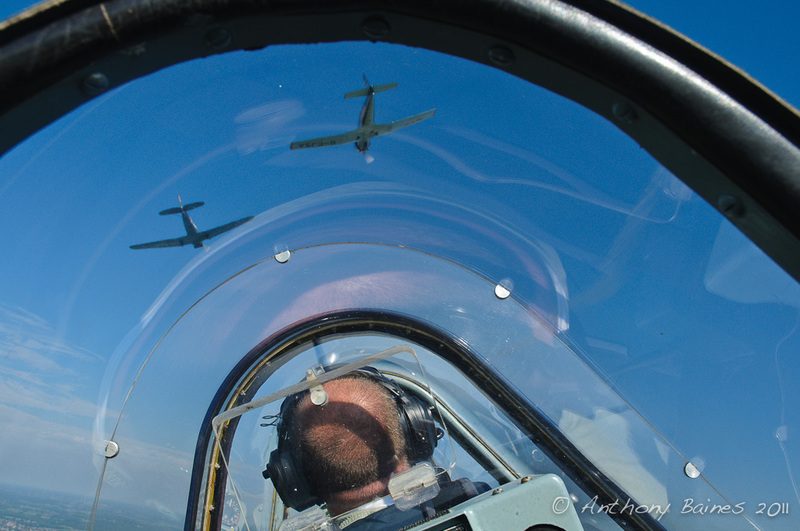 But for photography, it seemed essential to me to have a perfectly clear view of the subject aircraft -- hence flying open cockpit. I pretty soon learned to keep my head out of the slipstream! 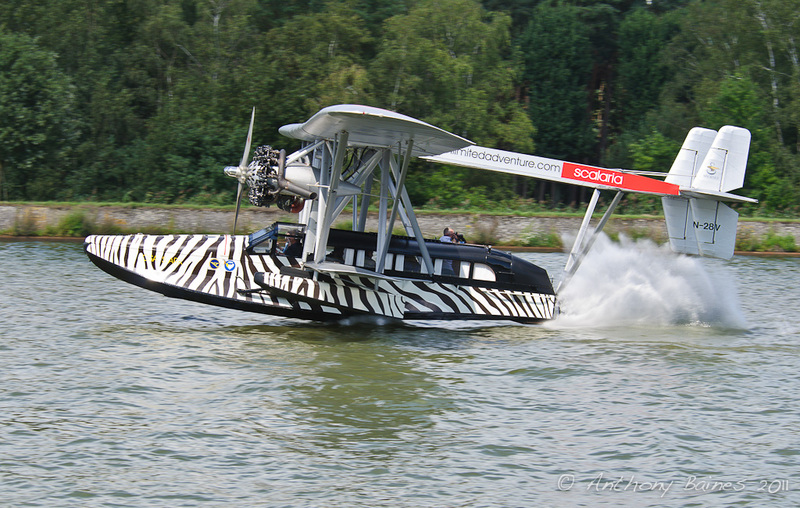 One central consideration, as with the Skyvan flights, is to have no potential FOD exiting the aircraft in flight: this means no lens hoods, and certainly no changing lenses. We were going to be quite close to the subject aircraft, so I just took the D300 with the 18-70 zoom. Because this was the one and only opportunity to get these pictures, I stuck with "safety" shutter speeds the whole time - 1/200-1/320. With continuously changing formations, it was important to ensure that every picture was sharp - full prop rotations did not seem to me to be the priority. 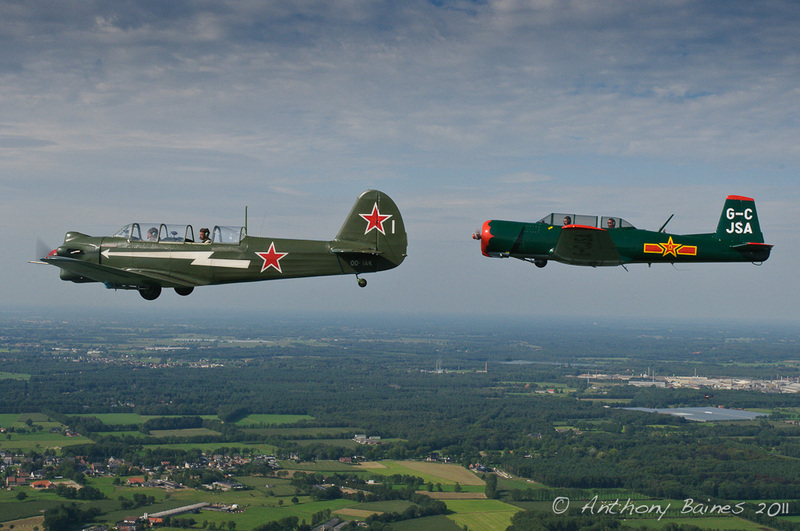 The Yak-18 and Nanchang had taken off ahead of us, but once in the air we quickly found them and formated. It is a bit of a ... shall we say ... challenge trying to photograph aircraft that are behind you when facing forward in the restricted space of a cockpit. 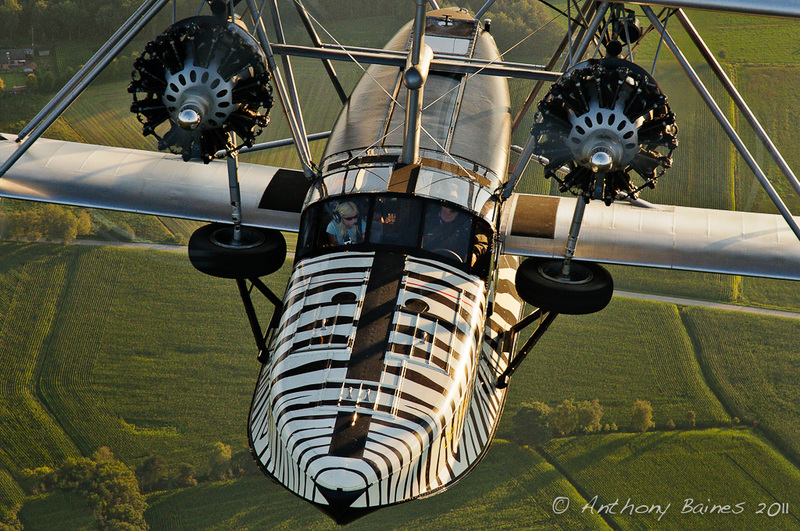 My feeling was that the most important thing with this flight was to get pictures of the aircraft clearly showing that they were taken while in the air. Anyone can take pictures of aircraft from the ground at an air show to show the formation, but the point of this flight was to show them in relation to the ground. So, as far as possible, I always kept ground in view to make the distinction from airshow photos. 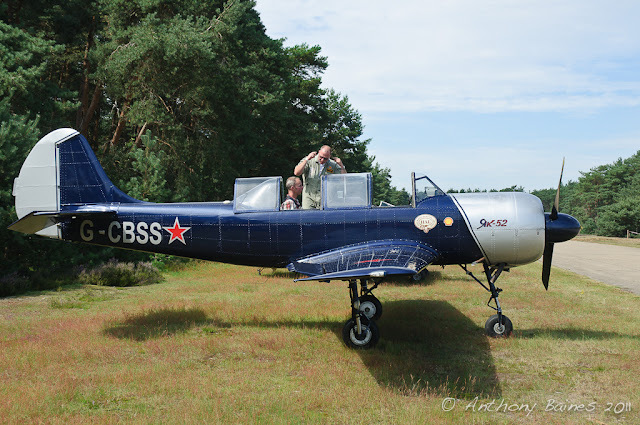 Etienne is a very considerate pilot and didn't subject me to too many aerobatics! There was just one occasion when he said "Now we go round the other side", and pulled back on the stick. I tried to raise the camera to get pictures while we changed position, and realised that the camera would not move -- the G was too much. Fantastic to feel -- at least once in a while. Yak-18 00-IAK. 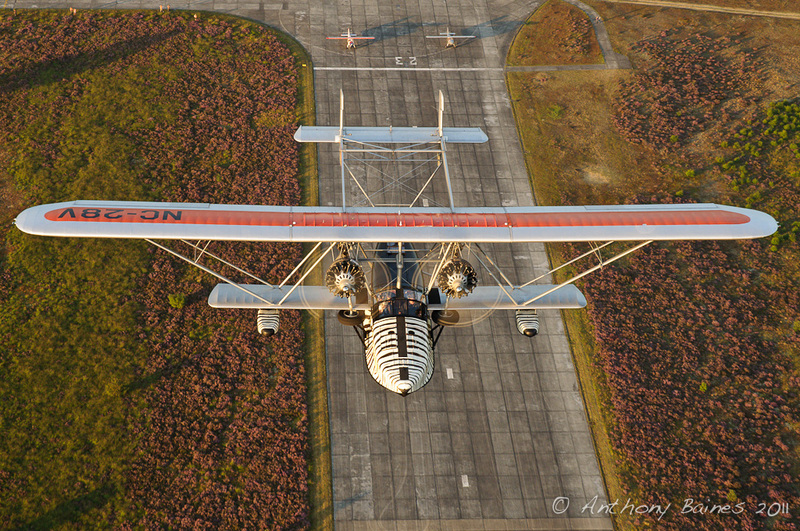 Alice's wing is in the foreground. Anyway, to conclude this piece, I would just like to express my grateful thanks once again to all three pilots for a wonderful experience, and I hope the pictures do their aircraft justice. The final part of this series features Osa's Ark.